Fish roe planting is the most cost-effective way of restoring trout and salmon to running waters. 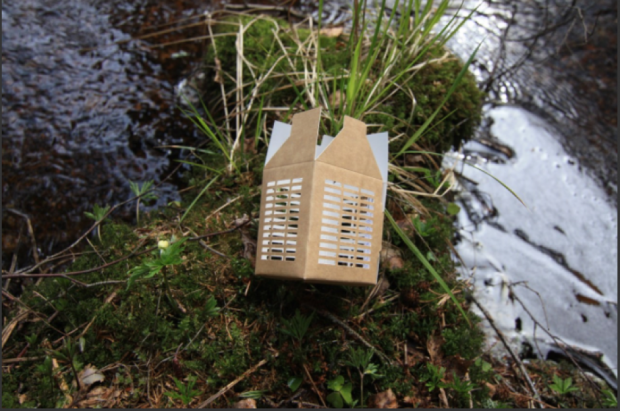 A biodegradable Eco-egg-box made from cardboard has been developed in Finland to replace the traditional plastic roe planting boxes. For decades, fishing opportunities have been improved by planting fish raised at fish farms. However, we now need more effective methods to strengthen endangered migratory fish stocks. The fish that have been planted as roe go through a natural selection like the wild fish. The larvae will hatch inside the box and the fry will face all the forces of natural selection as soon as they exit the box. The fingerlings will learn to consume natural food and avoid predators. The fish are most likely to return to their original hatching locations for breeding. The Eco-egg-box’s major advantage is its biodegradability; the box will decompose shortly after the eggs have hatched so there’s no need to collect it later. Not having to clean and store plastic boxes saves time and effort as well. The cardboard fish boxes are easy to transport to hard to reach areas where other forms of planting would be overwhelmingly difficult. The Eco-egg-box can be assembled either brown side out for low visibility or white side out to support exact positioning in deeper waters. The box capacity is 200 millilitres, which means approximately 1,000-2000 salmon or trout eggs. In well-placed boxes the hatching rate typically exceeds 95 per cent. The boxes are placed in streams. The water should be running, oxygen rich and have suitable living conditions for the hatching small fish i.e. areas with small stones and mosses. The boxes can be placed between stones or buried carefully with gravel or rocks. The box should not be placed behind large rocks where the water is not running. A few small stones can be placed inside the box to help it sink. The Eco-egg-box was designed by Manu Vihtonen a Finnish ichthyologist and it’s made of Stora Enso’s CKB multilayer kraft board. The product itself is manufactured by Pyroll Oy’s Tampere packaging factory. The sales and marketing is done by Ridigos Ltd and Manu Vihtonen. 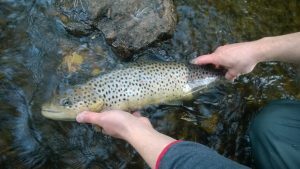 Around the world there are hundreds of thousands of dammed streams where the migratory fish stocks are in need of continuous care. The flowing salmonids have a wide distribution area. In addition to the northern hemisphere the salmonids are found in South America, South Africa and Australia. Salmonids have also been spread around the world and prosper in New Zealand, for example. The Eco-fish-box is suitable for planting of Atlantic salmon, various trout and rainbow trout breeds, as well as five Pacific salmon breeds. Their large eggs make salmonids especially suitable for the box. The eggs of these breeds need a lot of oxygen, and the Eco-fish-box’s careful design allows for efficient water flow trough it. 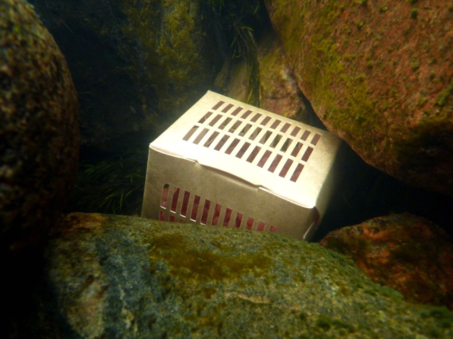 Most fish living in streams feed on roe so the box offers shelter from predators as well. Always check your local regulations on roe planting. The writer of the article is the developer of Eco-fish-box Manu Vihtonen. Magnus Breitenstein, the CEO of Ridigos Ltd and Kalasydän Ltd.
Mika Sohlberg, sales director of Kalasydän Ltd. Published in Finnish on May 16, 2017.